Henlle Hall Woodland Lodges is part of our Autograph Lodge Holidays Collection, a small cluster of superior lodges tucked away in 17 acres of glorious parkland surrounding historic Henlle Hall. Perfect at any time of year for romantic hideaways or relaxing retreats amidst the unspoilt peace of idyllic rural Shropshire. Set between the famous village of Whittington - the birthplace of the first Lord Mayor of London - and the town of Ellesmere, a pretty market town with Tudor, Georgian and Victorian buildings, the tiny hamlet of Welsh Frankton is located close to a beautiful lake and the Shropshire/Llangollen Canal. Originally a fortified Anglo-Saxon settlement, the nearby town of Ellesmere is steeped in history and is home to the lovely Church of Saint Mary, with its 15th Century roof. There are a wide variety of shops, good pubs and restaurants in the settlement, as well as an abundance of entertainment on and around the nine lakes which surround the town. 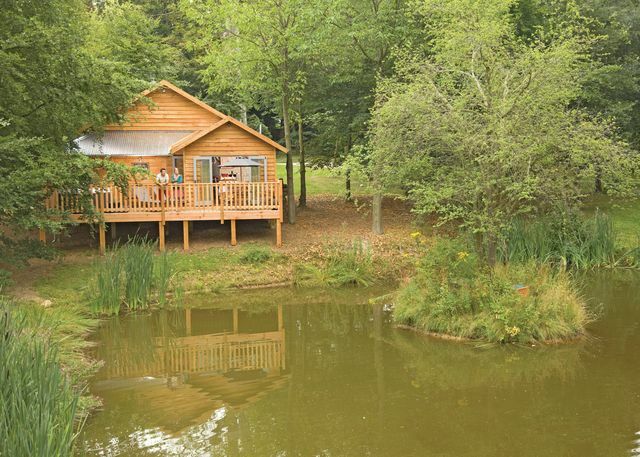 Guests can stroll through Cremorne Gardens, enjoy fishing and sailing, or explore Colemere Country Park with its wonderful wildlife and scenic walks. 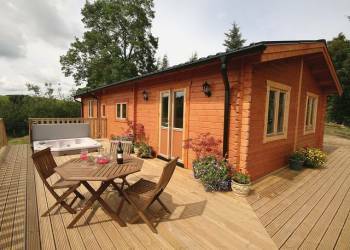 With its solar panels and wood pellet stove this newly built log cabin offers eco-friendly and cosy accommodation in a magnificent position high on the Kerry Ridgeway with far reaching views across the Shropshire Hills. 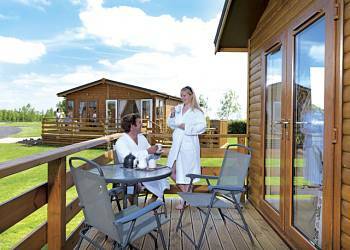 After a glorious day's walking or cycling on quiet rural lanes visitors can relax in the blissful hot tub. Bishop's Castle a charming market town with two breweries shops pubs and eateries is 5 miles. Ludlow Shrewsbury and the Welsh borders are all a short drive. 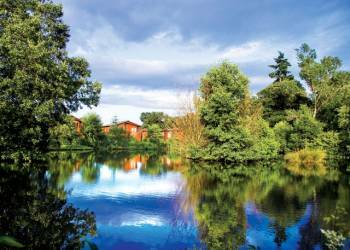 Ashlea Pools is set in one of the most beautiful, tranquil parts of south Shropshire and holds the David Bellamy Gold Award for Conservation. 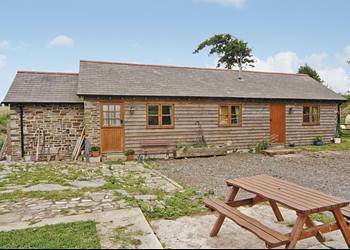 From its rural setting this lovely converted barn enjoys panoramic far reaching views over the delightful Shropshire countryside towards the welsh Borders. 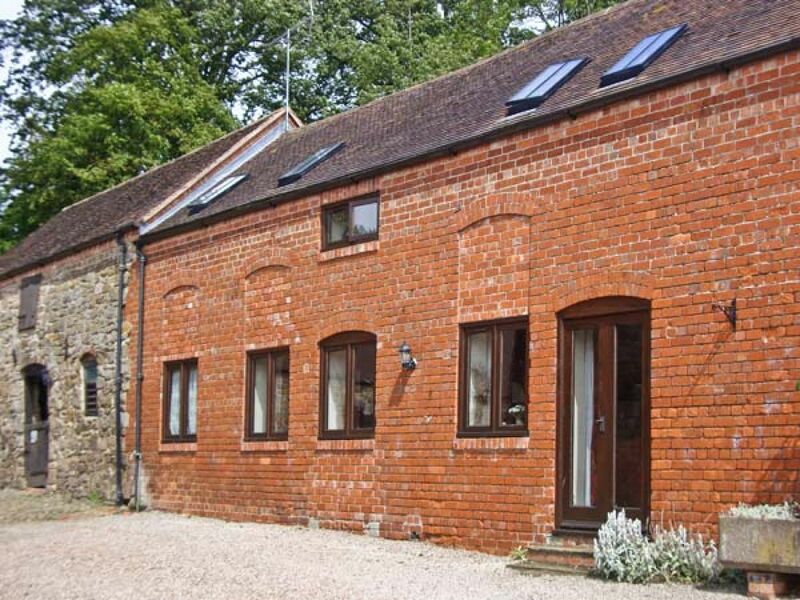 Comfortably furnished it lies close to the owners working farm and offers an excellent base for exploring this area with wonderful walking and fantastic bird watching opportunities with Red Kite being a regular feature. The charming market town of Bishops Castle 2 miles is home to two breweries, interesting shops, pubs and restaurants whilst Ludlow and Shrewsbury are both easily accessible. 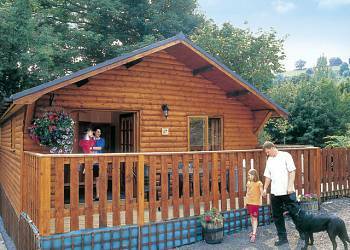 Astbury Falls Lodges are located in the beautiful county of Shropshire. 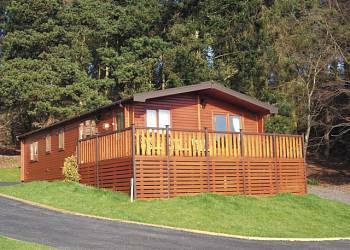 These outstanding lodges are surrounded by a breathtaking landscape of unspoilt rolling countryside, meandering rivers and a magnificent waterfall, and offer an idyllic retreat. With solar panels and wood pellet stove, these newly built log cabins offer eco-friendly and cosy accommodation in a magnificent position high on the Kerry Ridgeway, with far reaching views across the Shropshire Hills.